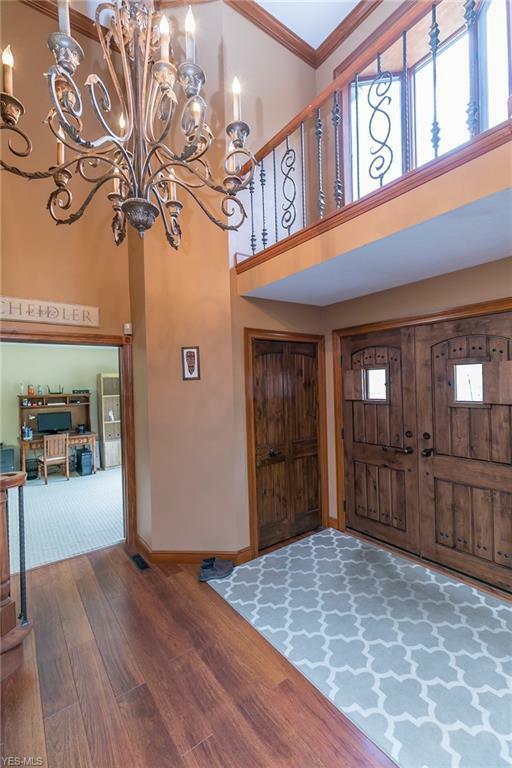 Welcome to this amazing house in the highly-rated Highland School District. 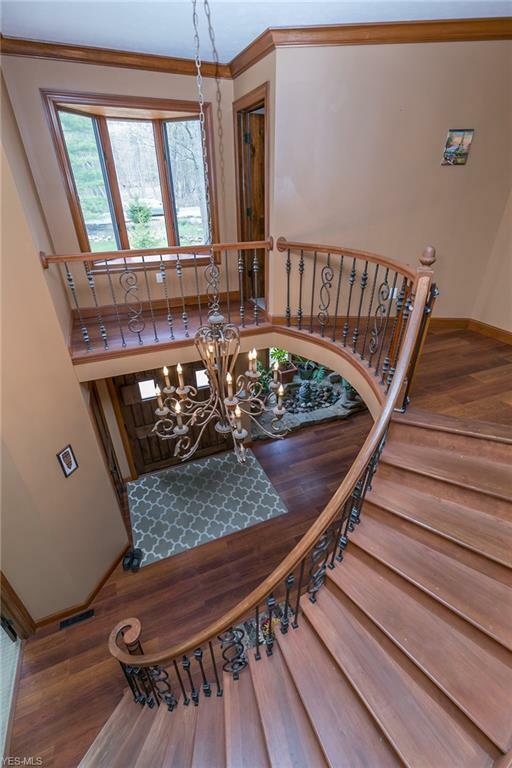 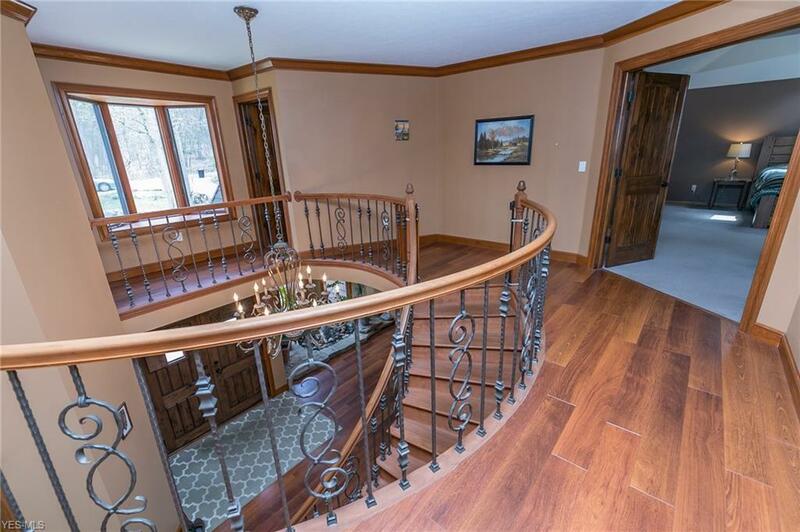 Enter through the beautiful wood doors into the 2-story foyer with unique water feature. 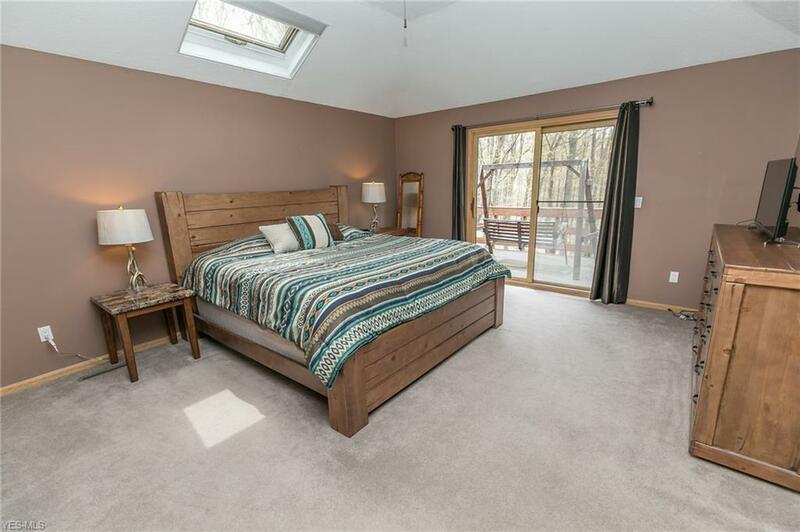 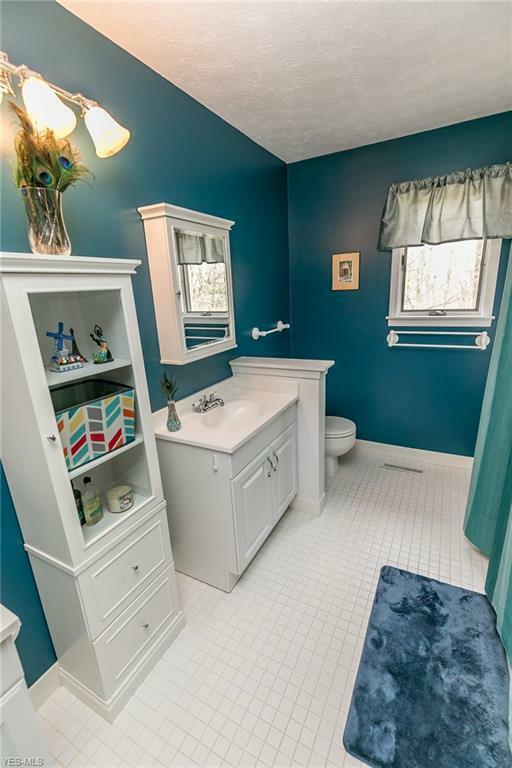 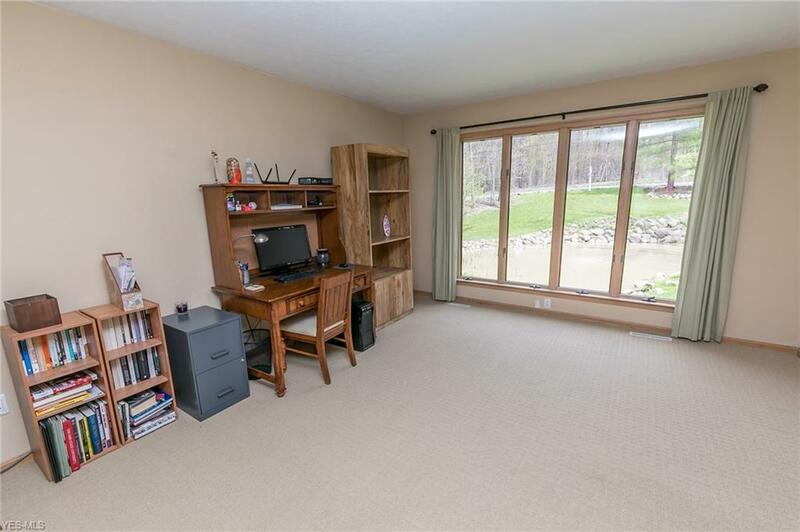 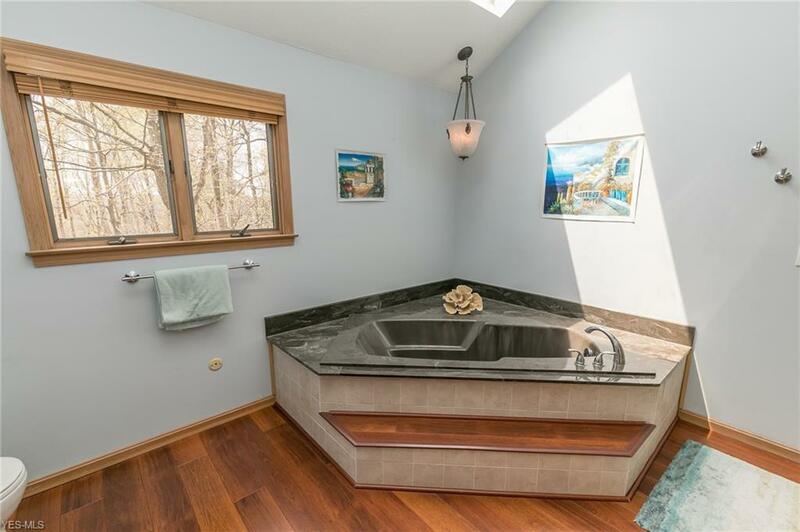 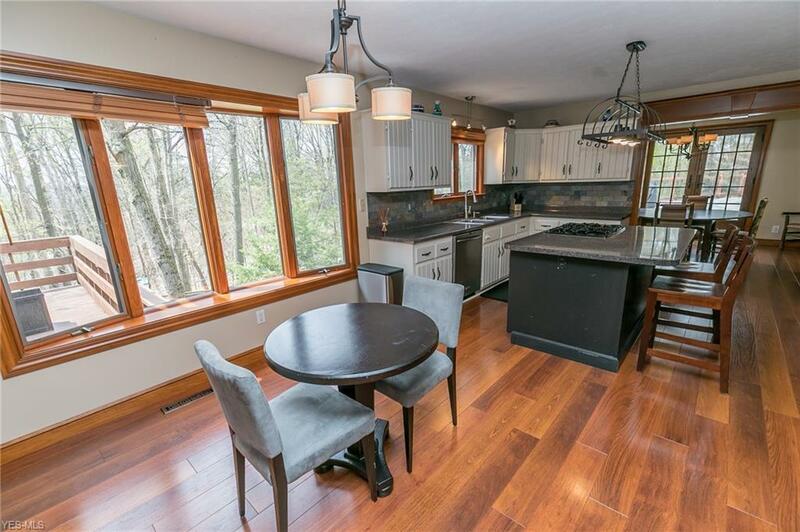 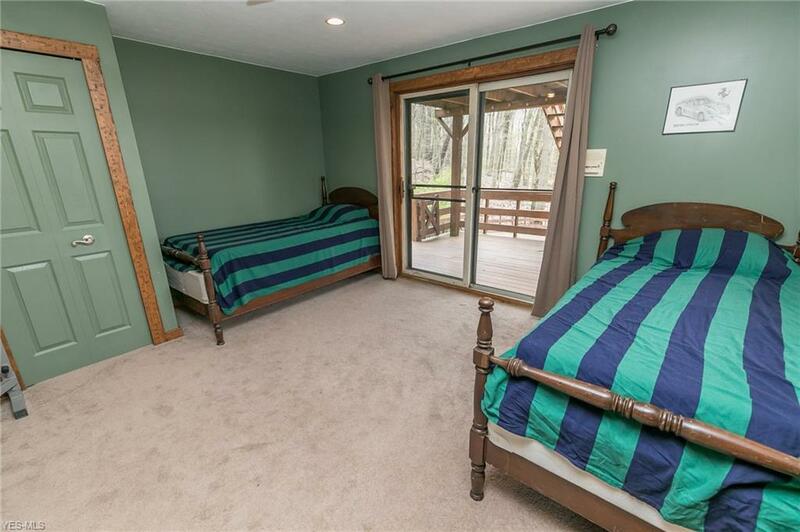 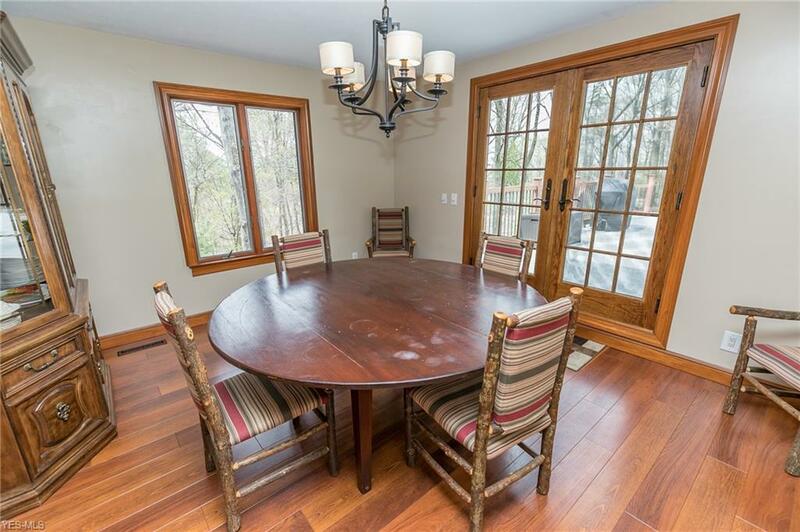 The Andersen windows throughout the home offer lots of natural light as well as beautiful wooded views of this quiet, dead-end street which is across from a nature preserve. 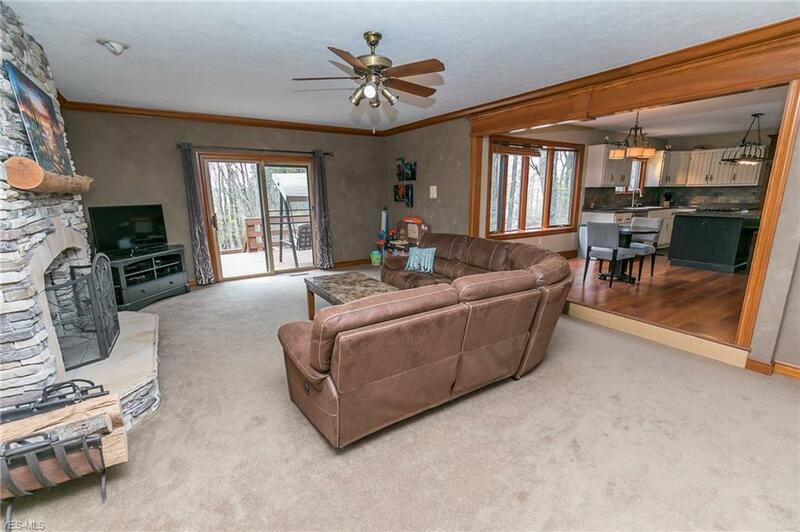 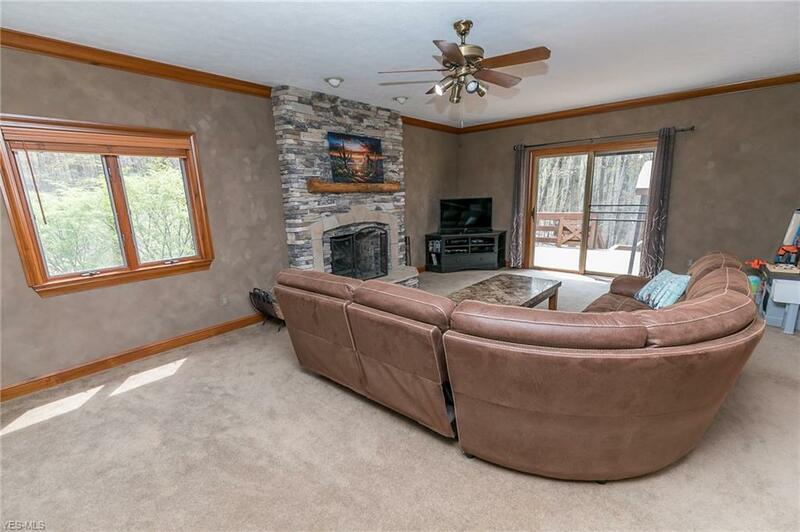 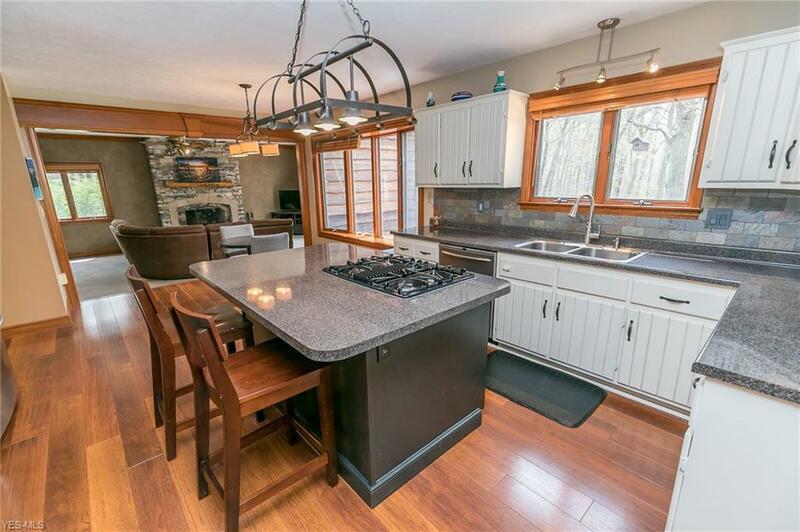 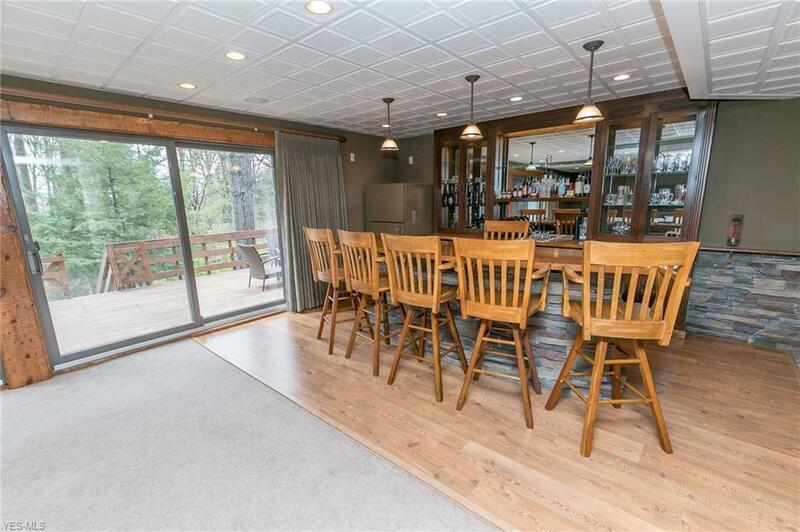 This home is an entertainers dream with large, step down living room, cozy stone, wood-burning fireplace, eat-in kitchen with engineered hardwood floors, and open to the bright dining room which leads to the expansive deck. 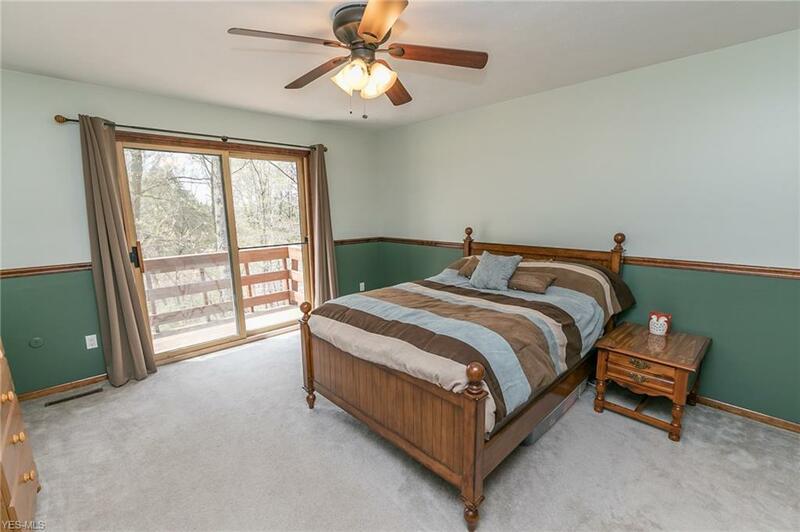 Upstairs you will find 3 bedrooms, including the spacious, vaulted master suite with grand walk in closet. 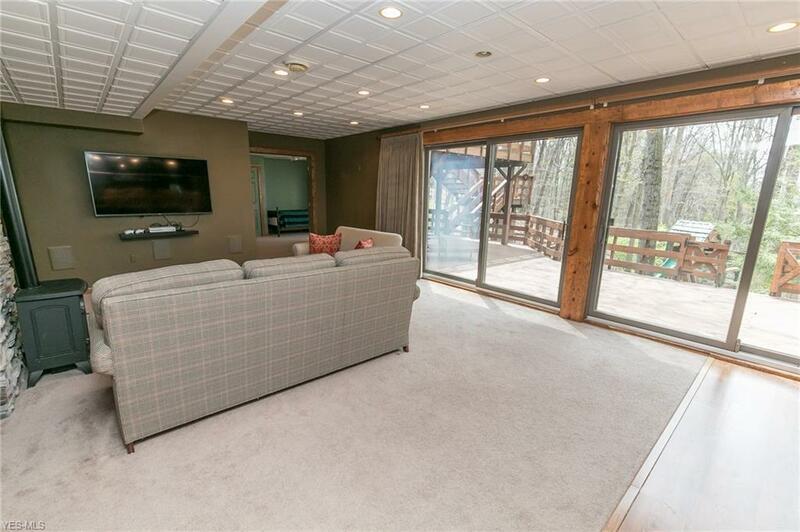 The value continues downstairs in the (1526 sq ft) finished walk-out basement which boasts a fourth bedroom with slider to deck, a wet bar, electric stove, & great views out to the multi-tiered deck. 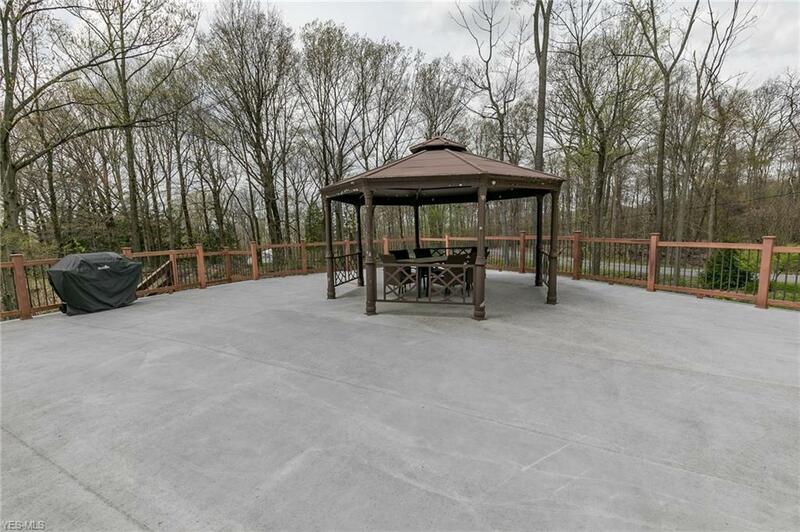 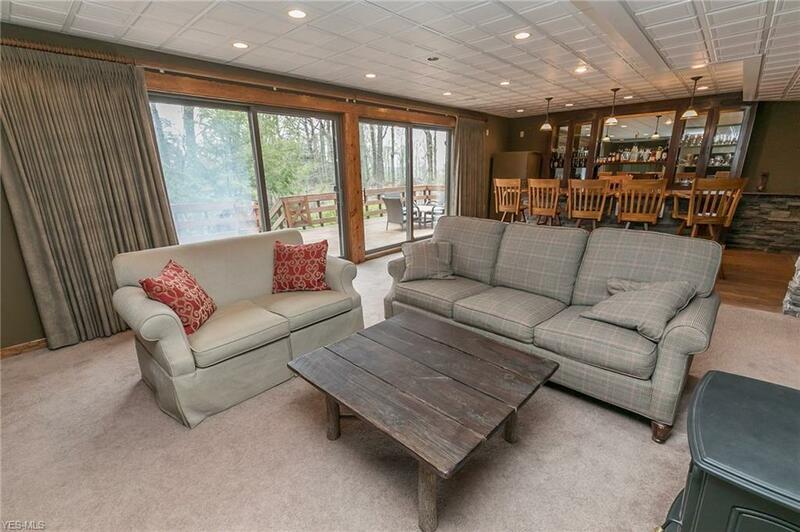 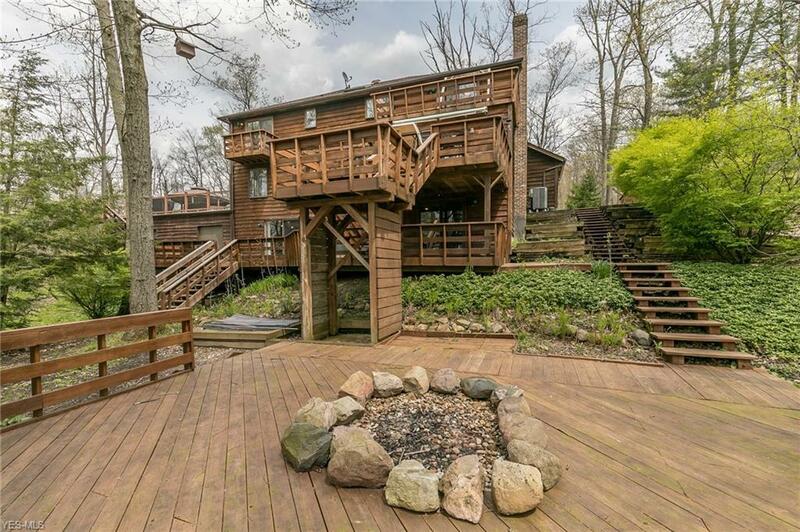 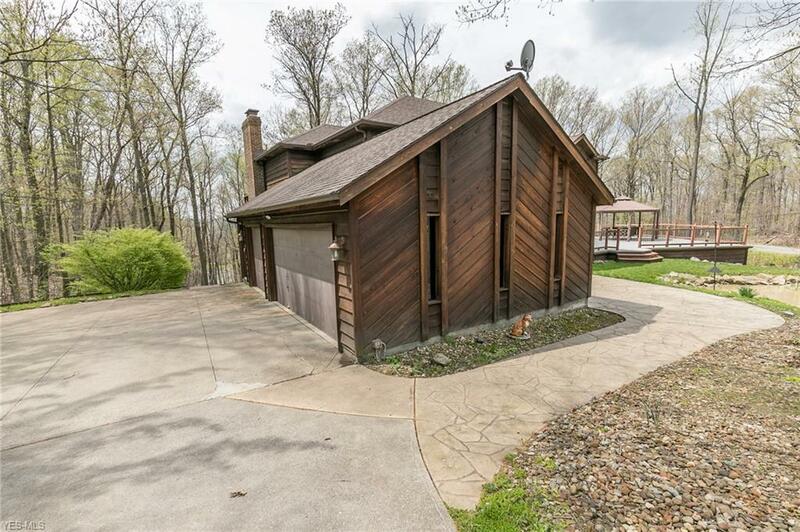 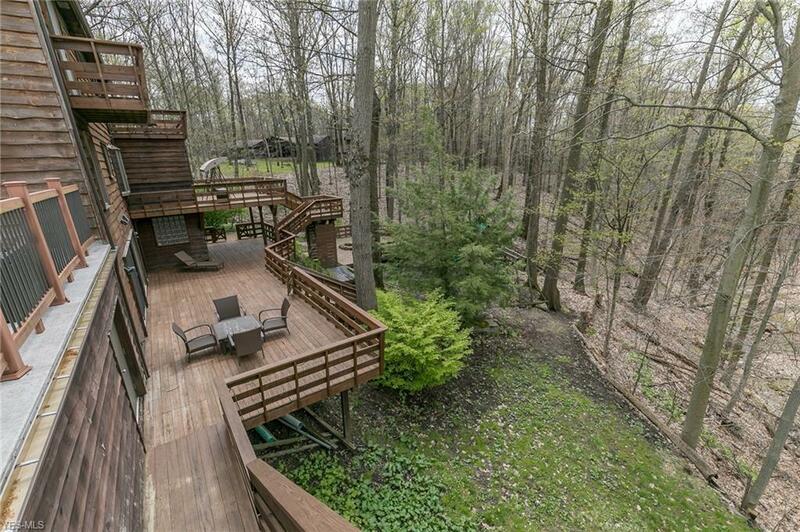 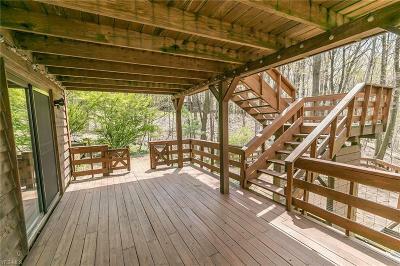 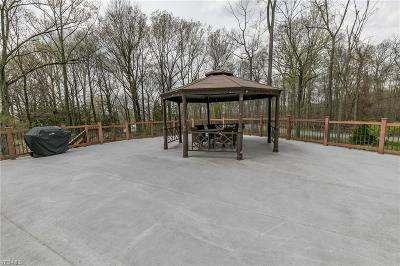 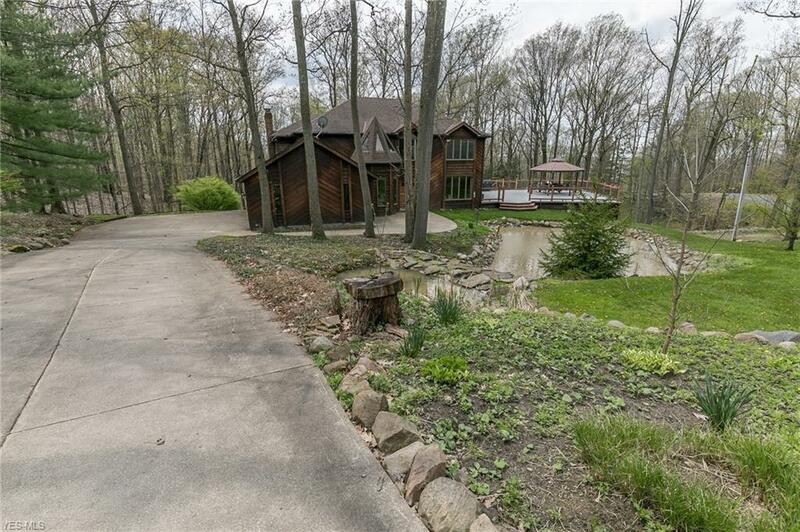 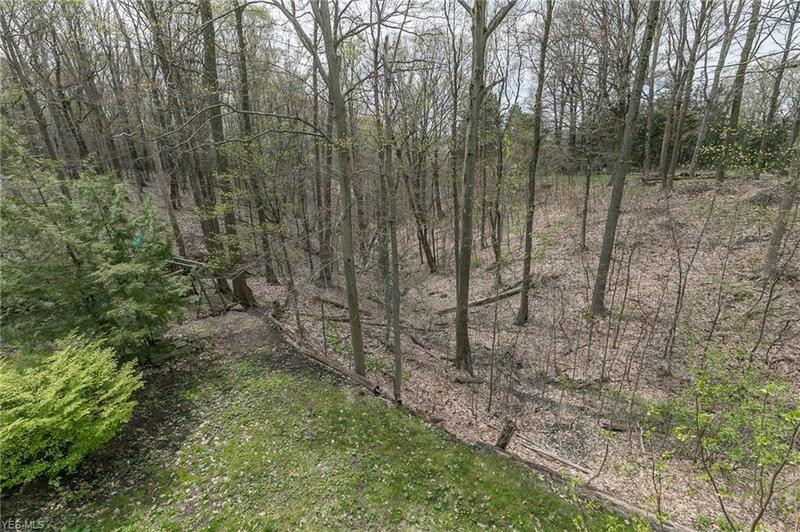 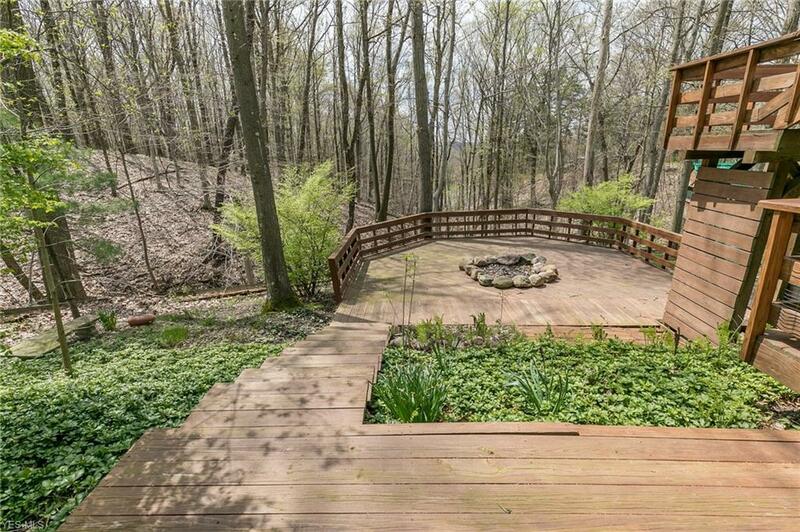 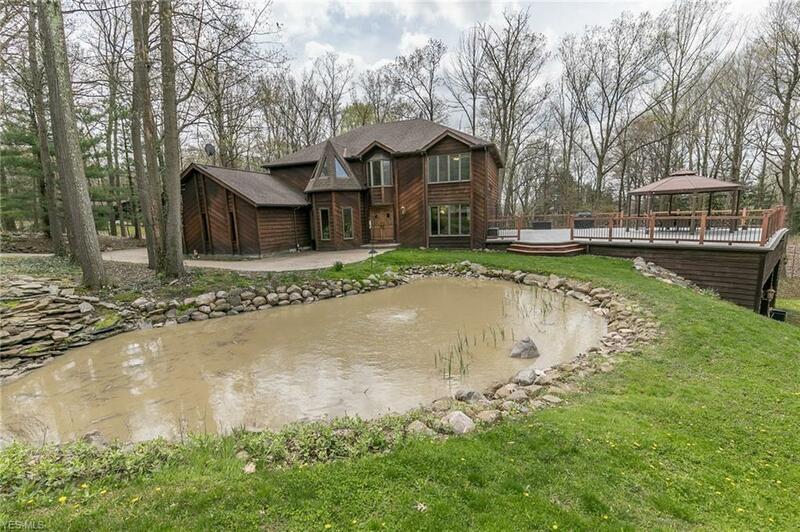 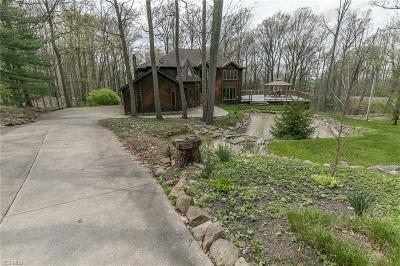 The deck spaces over look the gorgeous wooded 2.23 acres. 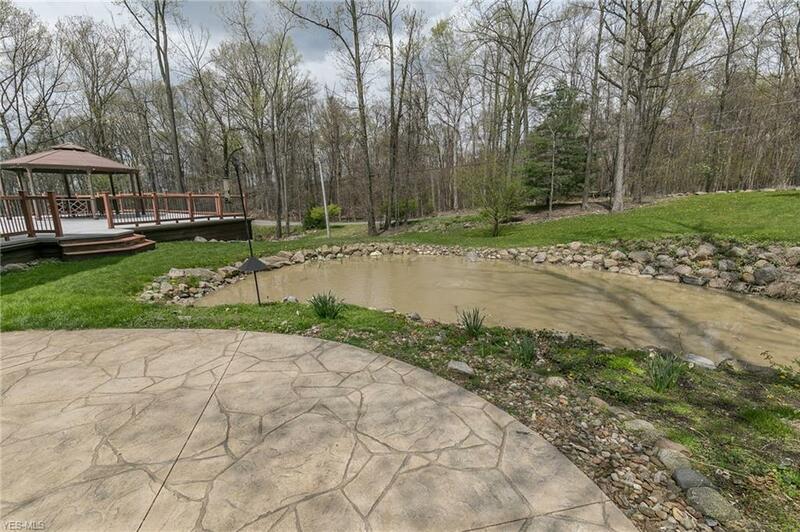 A stocked pond with a fountain feature graces the front yard. 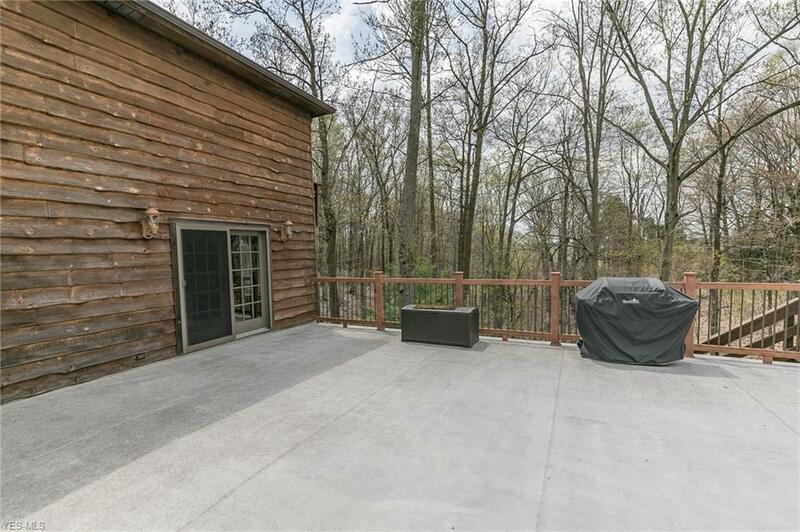 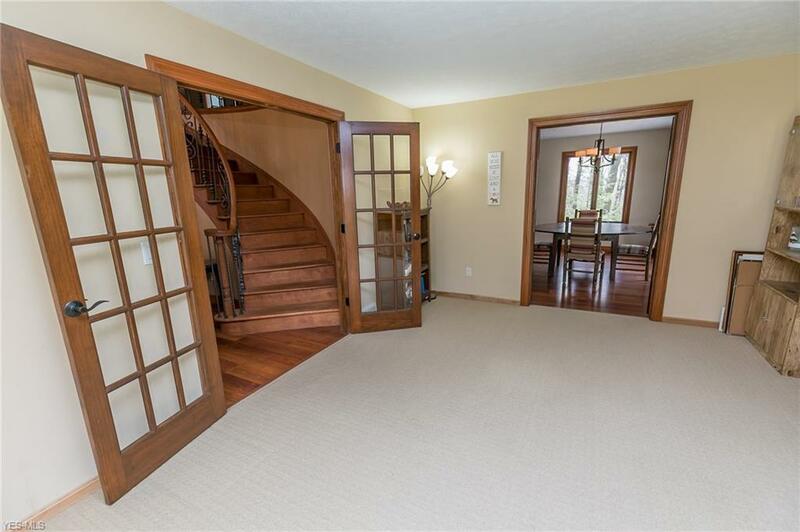 There is a 3 car attached side load garage with walk down to the finished basement. 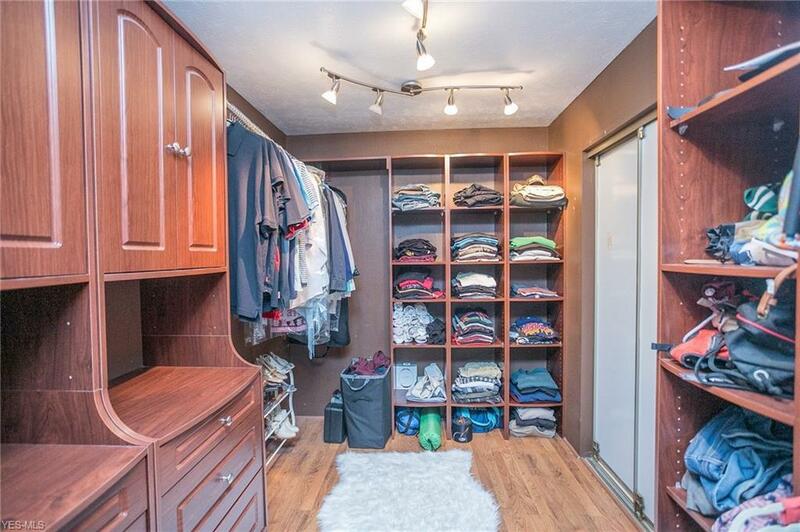 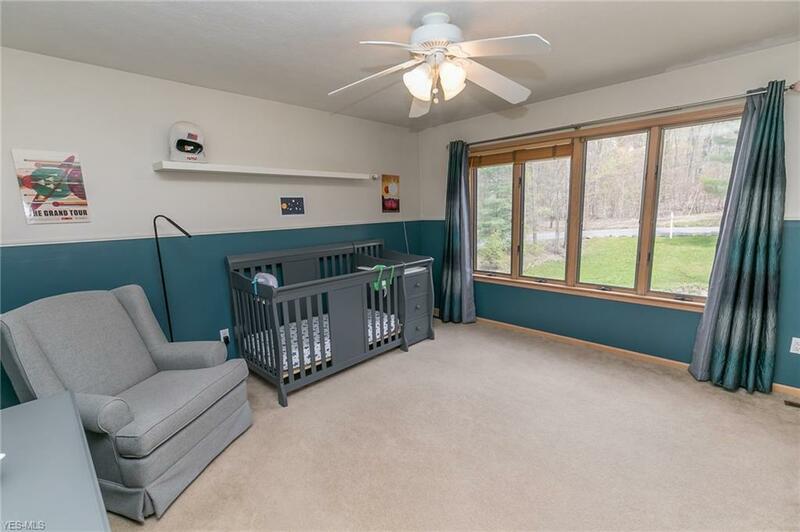 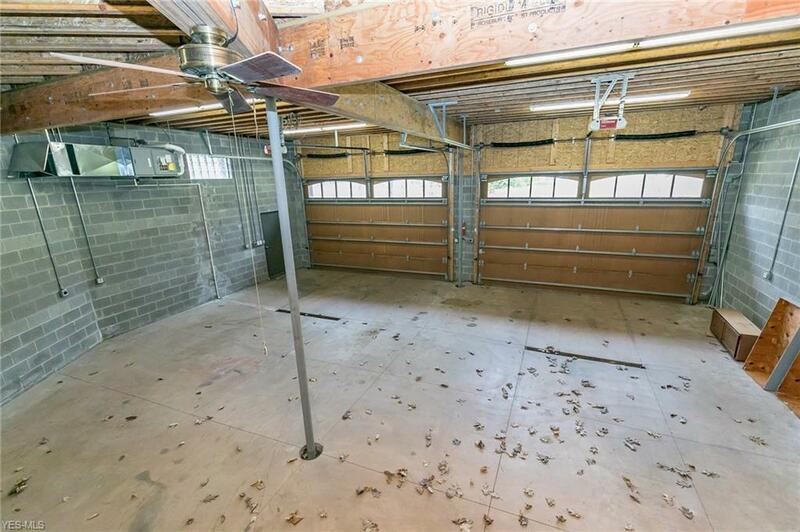 As an added bonus there is a second heated garage/workshop off the basement & offers 4+ additional car capabilities, has oversized doors and is two stories tall and more than adequate for a lift. 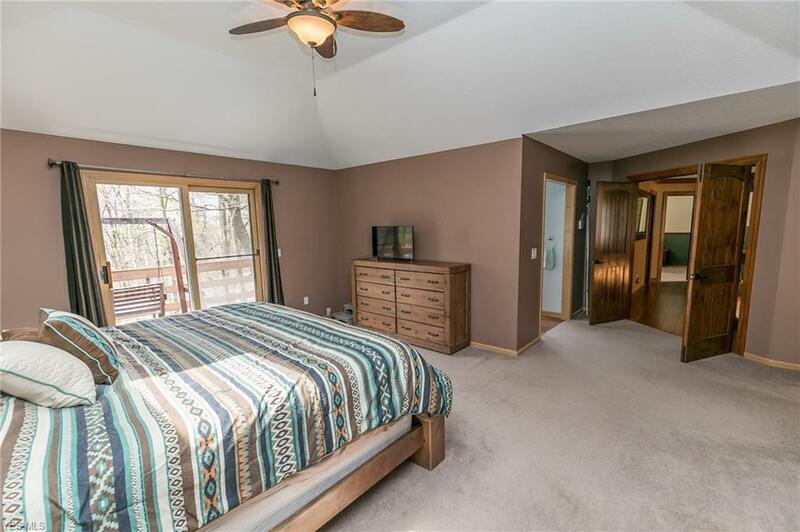 This well maintained home also has a new, high-efficiency heat pump (2019), new hot water tank (2018), new gutters & gutter-guards (2017), and restained decks (2016). 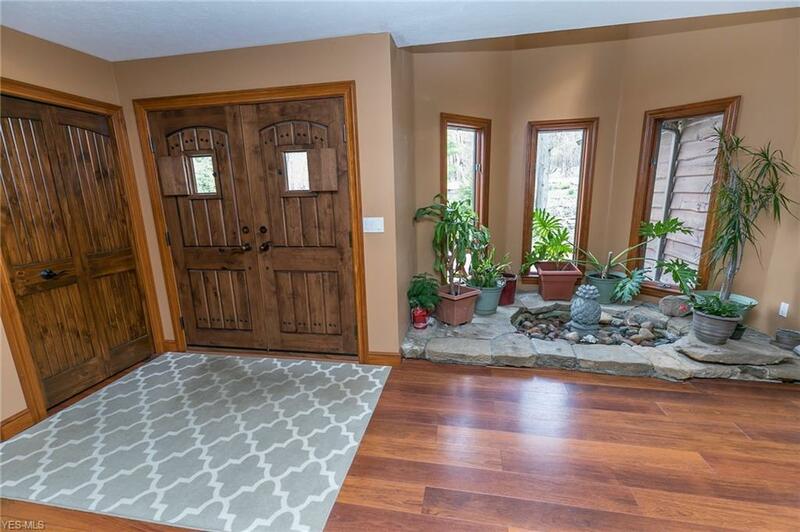 Call today for your private showing of this gorgeous home.